BIVOUAC BLANKET. QUALITY MILITARY INSPIRED BIVOUAC BASE BLANKET. PRACTICAL - WELL MADE BIVOUAC BLANKET. COLOUR - ANTHRACITE (grey/blue). 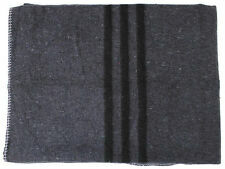 SIZE -200 cm X 150 cm (VERY BIG). STYLE - BRITISH MILITARY INSPIRED. British Army / Nato Tankers Goggles. In olive green. 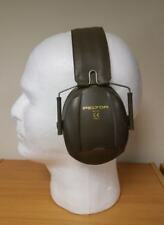 These used British Army ear defenders are in great condition, although untested you only have to put them on and instantly can appreciate how high quality and effective they are. Northern Ireland, AB31 to AB56, IV, KW, PA21 to PA79, PH, KA, ZE, HS, Isle of Man, Channel Islands. New listingBritish Army-Issue Medium-Sized Black Waterproof Field-Pack Liner. Channel Islands, Isle of Man, Scottish Highlands & Islands, Isle of Wight & Scilly Isles. 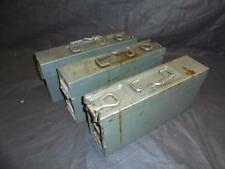 Russian Army Issue Wooden Storage Box / Chest. Russian Army Wooden Storage Box / Container. Outer Storage Transport Marks Possible. Printing On Box May Vary. INNER - 62 x 31 x 11 CM (storage space). British Army Camouflage Basha (shelter) / Ground Sheet. N o shovel. british ArmyMTP. Pl c sh ov el p ou ch a nd h ar d ca se. It is a bit of a struggle to get the bag into the compression sack, we cannot quite get it closed! A very good clean example besides the outer cover is a bit dirty from storage. The zip and press studs are fully functional. SUPERGRADE condition, very good. Snugpak Sleeping Bag. With stuff sack. - Sleeping bag length approx: 220cm (longest point to point). - Weight 1.50kg. Elite Tent - BTP (2 Person, Twin Skin). In BTP camouflage pattern. Double layer tent. Practical two man tent. Strong high quality fibre glass poles. In excellent pre owned condition. Belstaff British Army Poncho. 1954 Belstaff poncho with one button missing Condition is Used. Dispatched with Royal Mail 1st Class. Genuine Dutch army surplus. Worldwide surplus. We do in addition frequently have available a range of We are proud of our growing range of products and constantly strive to bring a varied range of goods to the market.